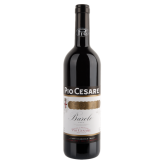 The Pio Cesare winery was founded in 1881 by family patriarch Cesare Pio. He was one of the very first wine producers to believe in the great potential and quality of Barolo, Barbaresco and Barbera, and in the other great wines of Piemonte. He was among the very first winemakers to produce these wines with a philosophy that was dedicated to the terroir and the strictest quality of the wine rather than to volume, as was the dominant approach at the time. Five generations later, Pio Cesare owns more than 70 hectares (180 acres) of vineyards located in the most highly rated locations and best exposures. Within the Barolo region, the Ornato estate and the Colombaro vineyard (in Serralunga d’Alba), the Gustava estate (in Grinzane Cavour), the Roncaglie (in La Morra), Ravera (Barolo-Novello) and the recent acquisition in the prestigious Mosconi cru in Monforte d’Alba. Within the Barbaresco territory, the Il Bricco estate, the San Stefanetto and Bongiovanni vineyards in Treiso. Other select vineyards are located in the communes of Diano d’Alba, Sinio and Trezzo. 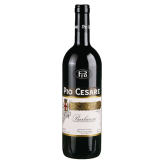 Pio Cesare is totally independent, and the majority of their wines are estate-bottled. 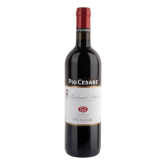 In addition to their own vineyards, Pio Cesare has fostered long-term relationships with growers for several generations, and manages all aspects of viticulture in these vineyards. Pio Cesare is among the most revered and respected of all Piemonte producers.